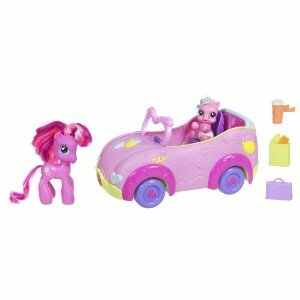 This very cute My Little Pony Newborn Cuties Family Convertible for $12.95 Amazon . It is available for free shipping if you have Amazon Prime or Amazon Mom. Two-pack includes Mom and little PINKIE PIE pony figures with car vehicle, grocery bag, mug and snack bag accessory. Printable Coupon: $1 Off International Delight Iced Coffee!